The current generation of the U.S. Postal Service mail trucks may be nearly three decades old and about to get the boot in favor of a new set of vehicles, but those old things can still move, alright? 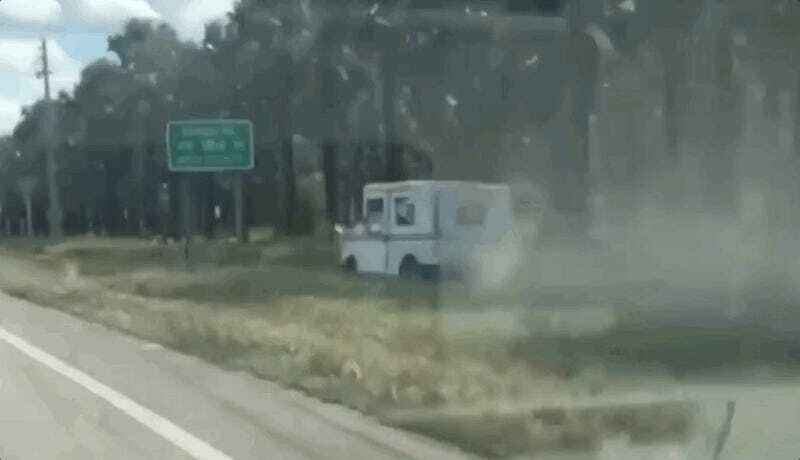 If you had the audacity to forget that, let this USPS truck off-roading down the side of a Florida road be your reminder. 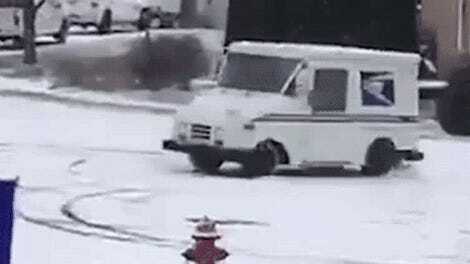 The video, originally published on a Facebook group called “Only in Dade” (as in Miami-Dade County), shows the USPS mail truck we all know so well doing exactly what it was meant to do—tackling the elements and surviving years of beatings—but it didn’t exactly go over too well. “This is clearly unacceptable behavior that does not reflect the efforts of the thousands of professional, dedicated carriers in our workforce,” said Debra J. Fetterly of the USPS South Florida District. Most local outlets described the spat of off-roading as a way to avoid traffic on the actual roads, but it’s hard to tell from the video itself whether that’s what this postal worker was doing. If the person was, it’s understandable—USPS workers don’t have an easy job, especially with the rise of Amazon deliveries, which have extended their work hours and added things like Sunday routes to the schedule. And when you order your things, you just gotta have them, right? He said having more packages on a route makes an already difficult job worse, slowing down each stage of the process. Packages fill up trucks and satchels quickly, meaning he has to make extra circuits and sometimes return to the station for a second load. He’s slowed down even more if he has to deliver a “TEAM LIFT” package by himself. Rather than beefing up its career workforce, the USPS has leaned more heavily on low-paid carriers, called City Carrier Assistants (CCAs). USPS workers have a schedule to hit, and there seems to be a lot of pressure to hit it, which might be why this truck ended up off road. Or the driver could have just been hooning it. Who knows! The good thing about USPS trucks going on off-road missions is that when the Postal Service was deciding on which model to go with in the 1980s, it put three competing vehicles against each other in grueling, months-long tests to make sure they could survive anything short of the Earth plunging into its own self-induced black hole for around 30 years in service. Good thing those 30 years are almost up, because a black hole appearing out of nowhere and swallowing the Earth sounds more and more realistic every day. So, yeah, the trucks are fine to take off road—they’re built for this type of abuse, even—but the bosses probably won’t be too fine with drivers testing those capabilities on the clock.